This lecture and symposium celebrate the contributions of James K. Knowles, a remarkable scholar, teacher and friend. He was born in Cleveland, Ohio on April 14, 1931, and grew up in Phoenix, Arizona. He received his bachelor’s and doctoral degrees from the Massachusetts Institute of Technology in 1952 and 1957, respectively, and taught there briefly. He joined the faculty of the California Institute of Technology in 1958, and made Caltech his academic home. He retired to become the William J. Keenan Jr. Professor of Applied Mechanics, Emeritus in 1997. He passed away on November 1, 2009. Jim Knowles was a special teacher and mentor who inspired and influenced generations of students and scholars through classes in mathematics and mechanics. A visionary thinker, he recruited and mentored a number of junior colleagues who took Caltech in new research directions. He had a deep affection for Caltech and served in various administrative capacities. He was made an honorary member of the Caltech Alumni Association in recognition of his distinguished service. 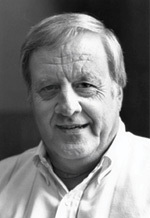 Knowles made fundamental research contributions to the theory of nonlinear elasticity and the mathematical theories of materials and structures. In 1960, he provided the first solution for a dynamical problem in finite elasticity and, in 1966, he published what would turn out to be a seminal paper concerning the foundations of Saint-Venant’s principle in linear elasticity theory. His later papers on the influence of nonlinearity on point singularities, such as those found at the tip of a crack, demonstrated how they could lead to new phenomena. In 1979, Knowles published a paper concerning the dissipation of mechanical energy during quasi-static motions of elastic bodies. This led to his later work on the evolution of metastable states of equilibrium, which had applications in phase transformations. To make a gift to the Knowles Memorial Fund, please contact Lynn Seymour (lynnbcaltech.edu) or follow the instructions here.